In addition to this year the NADT will be out on tour with the Racequip name on Run the Wall. Although this is drifting this is oval drifting and it can be a little unforgiving at sometimes. No show cars here I`m afraid just simple wall bangers although most don`t really do that at all. 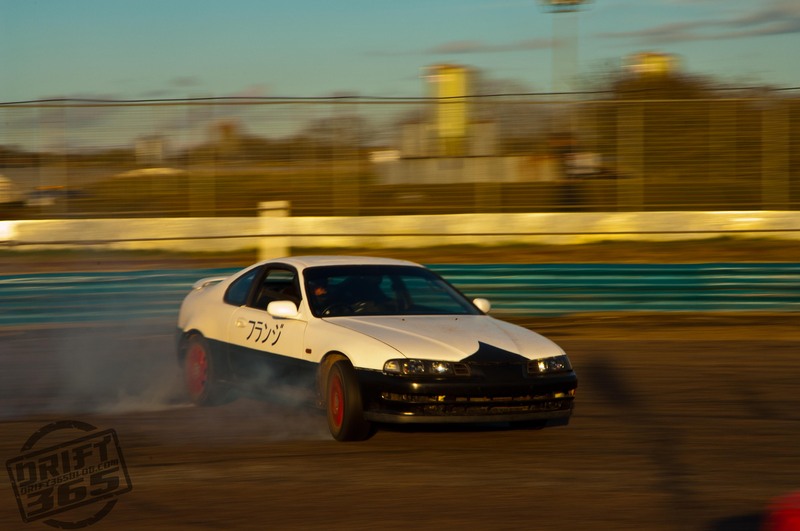 There are the few that want to provide a spectacle but most are satisfied with keeping the car on the sideways angle and smoking the rear end as is required. A bright day, but breezy lead us into a night of cool temperatures but all the time providing the drivers with full track time. Team Badger, a Norfolk champion of the arena was in attendance showing their commitment to all and burning up quite a few tyres I suspect. 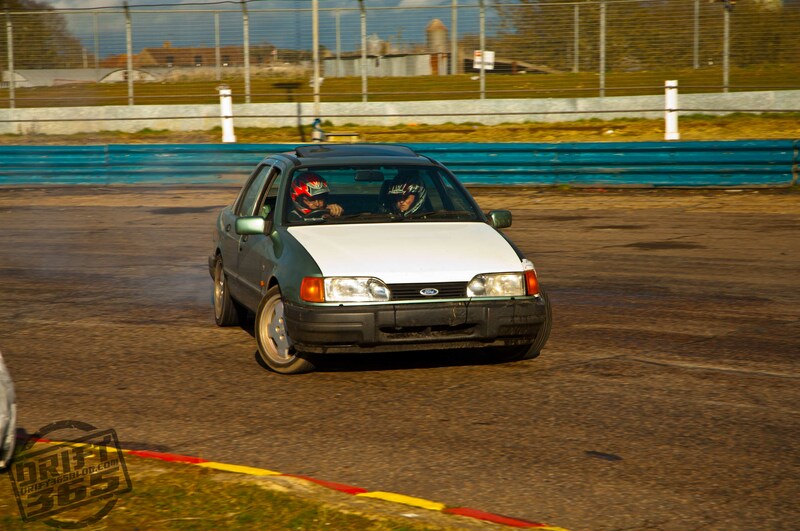 Also the FWD Prelude of the NADT`s driver/instructor Tom Harden was being loaned out to most for a few laps and I`m quite sure that FWD stands for front wheel drive and not four wheel drift as demonstrated by Callum Peate. 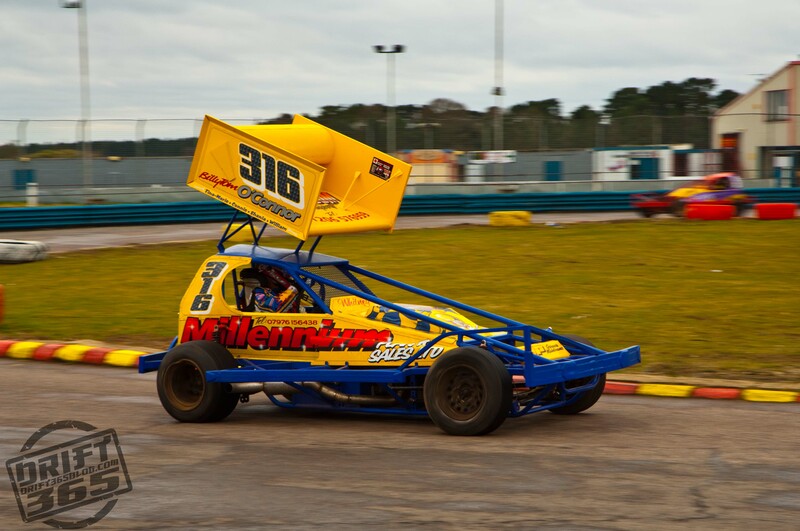 The above F1 Brisca car shows that it isn`t always just attended by drift cars. 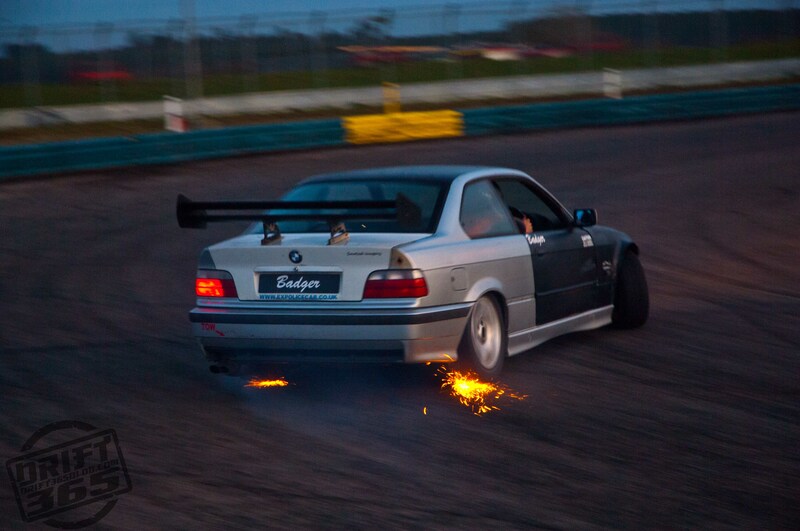 This V8 beast was being run in by its owner ready for the evenings racing elsewhere. The next event at Swaffham will be the NADT on tour with Outcast Elite on the 25th April. All the day events and an evening Run the Wall event too.